The Weight Watcher: Does Organic Liaison work? Well, if you believe all that's been written about Kirstie Alley in recent weeks, then it does. A whopping 90lb weight loss (that's 6st 6lbs to you and me) has taken her to a size 6 (US) and Kirstie has said she couldn't have done Dancing With the Stars without it. While I've given up on the get thin quick schemes, I'm particularly fascinated by this diet. The organic liaison diet is said to have been designed specifically around Kirstie's needs. Call me skeptical, but how exactly can she vouch for its long-term success when she's only just a year or so into the process (if that)? And who is to say that we all have the same needs as Kirstie? What's more, it's supposed to be affordable. At $139 for a 'starter' pack? I think not. I'm perhaps most shocked by the fact that a woman who has battled with weight loss demons for so many years (and bear in mind that she's 60!) 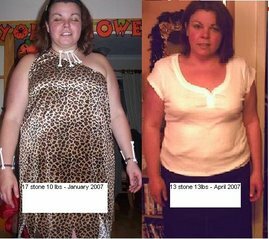 would turn the tables on dieters by launching her own get thin quick scheme. While I'm sure this isn't what Kirstie intended, it feels like a site designed to part you with pounds... from your wallet, that is. P.S. There are questions marks regarding the diet's links to Scientology - in terms of finances, design, ethos and more. This video is from 2009 after the Jenny Craig fiasco! So... if she lost 20lbs in five weeks in 2009, why did it take so long for her to get to a 60lb loss in time for DWTS?